Read below for an excerpt from our semi-annual newsletter, released in August 2015. The newsletter also contained links to the many new reports that DataHaven has published. Contact us to sign up for the full newsletter! In May, DataHaven received the annual award for organizational excellence from The Consultation Center, a local nonprofit affiliated with the Yale School of Medicine’s Psychiatry Department and dedicated to promoting health and wellness. 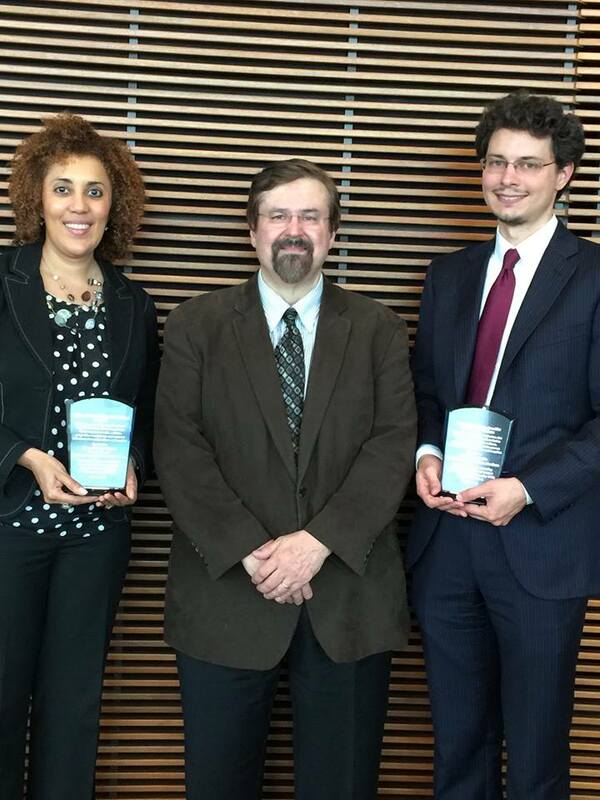 The award honored DataHaven’s outstanding efforts to harness public data to support community development. DataHaven’s Executive Director, Mark Abraham, was appointed to the Advisory Council of Healthy Connecticut 2020: The Connecticut State Health Improvement Plan. Along with leaders from public and private organizations throughout the state, Abraham will join these ambassadors and educators of Healthy Connecticut 2020 and related initiatives. DataHaven gave two presentations at the annual meeting of the National Neighborhood Indicators Partnership in Pittsburgh. Along with representatives from the Centers for Disease Control and Prevention and the University of Texas, Mark Abraham spoke at a plenary session about community data and hospitals. Additionally, Mary Buchanan shared our new immigration report at the conference’s opening session. Guided by an advisory committee of local stakeholders, we helped release a new report commissioned by the Valley Community Foundation that described the area’s demographics, community health, and economic and educational opportunities. DataHaven is working on a more comprehensive analysis of the region, to be published in 2016. Our colleagues at the South Central Regional Council of Governments (SCRCOG) received the Greater New Haven NAACP’s annual award for supporting “How Transportation Problems Keep People Out of the Workforce in Greater New Haven,” a report produced by DataHaven this year on behalf of NAACP, SCRCOG, and Workforce Alliance. Our Executive Director, Mark Abraham, shared DataHaven’s work at the NYU School of Medicine’s monthly Population Health Research Seminar in New York City, at the World Health Organization age-friendly community pilot site meeting in Geneva, Switzerland, and at the Connecticut Early Childhood Funders Collaborative’s Working Together to Improve Child Outcomes Using Data event. Over the next two months, DataHaven staff will be featured as speakers at the 8th Annual Public Performance Measurement and Reporting Conference, at a session on human capital at the Business Council of Fairfield County’s Leadership Fairfield County, and at the Connecticut Mirror’s “Small State, Big Debate: Race” event.